There are a number of well known professional racquetball coaches that put on weekend long camps, Jim Winterton and Fran Davis, in particular. 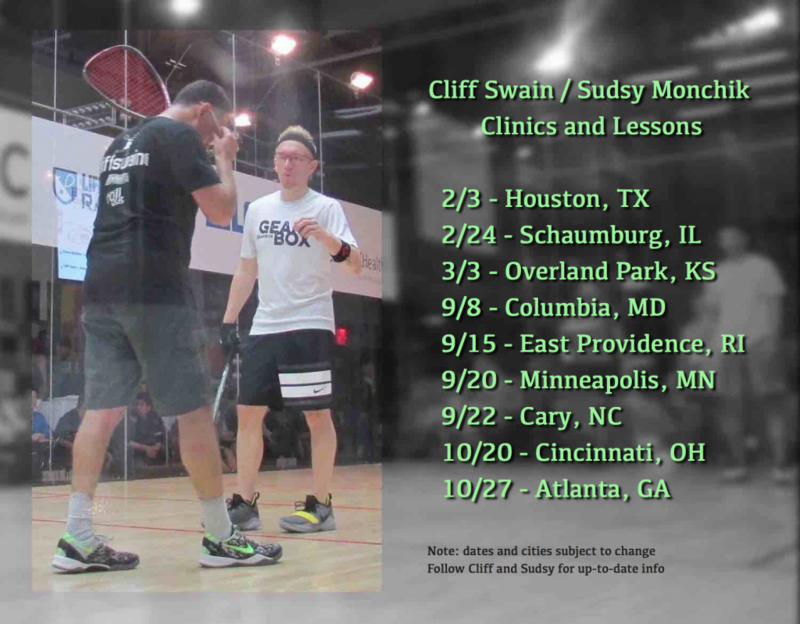 In 2018, Cliff Swain and Sudsy Monchik return to putting on a series of camps at LifeTime Fitness locations in events sponsored by Gearbox Racquetball. Get signed up for these early! The registration links are below. Next Next post: Women Making Racquetball History Now!